Are Third Year Receivers a Big Deal? It’s generally thought of in the football community that it usually takes three years to develop a receiver into a solid player. Of course, exceptions occur like Mike Williams (Tampa) and Dez Bryant in 2010. But more often than not, it takes 3-4 years before they truly blossom on the field. 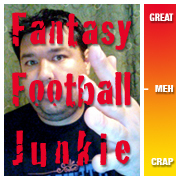 Heck, sometimes it takes 7 years… see Brandon Lloyd. Take for example, in 2008, the likes of DeSean Jackson, Donnie Avery, Eddie Royal, Jerome Simpson, Limas Sweed, Earl Bennett, Early Doucet, Mario Manningham, Pierre Garcon, and Steve Johnson were all drafted. Of these, lets say, DeSean, Mario, Pierre and Steve all turned into quality receivers in their third years. 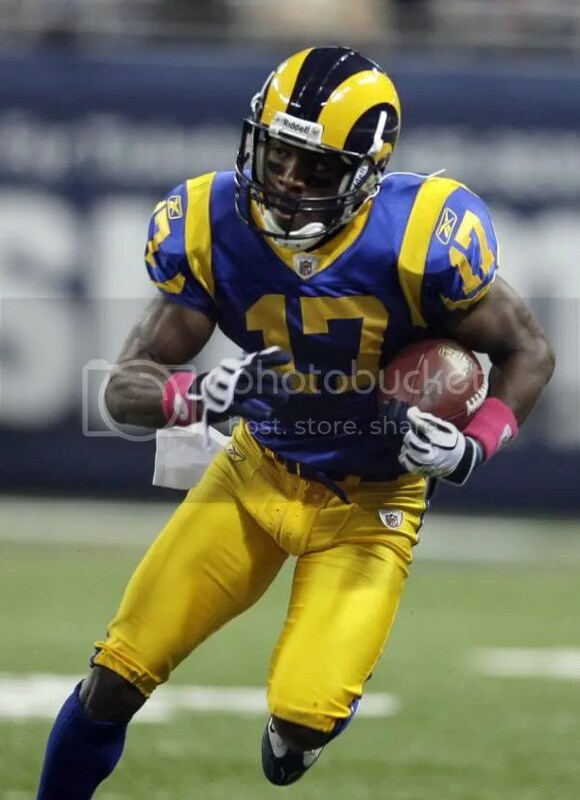 Donnie Avery was hurt before the 2010 season started but he was the #1 guy coming into last year for the Rams. Who knows how he would have faired with Bradford throwing his way. He will be looking to regain the momentum this year. Jerome Simpson will finally get a real chance now that T.O. and Ochocinco are both gone. Eddie Royal had a really nice rookie season but dropped offed big-time, could he bounce-back in 2011? Now for those of you who were drafted in 2009, Darrius Heyward-Bey, Michael Crabtree, Jeremy Maclin, Percy Harvin, Hakeem Nicks, Kenny Britt, Mohamed Massoquoi, Brian Robiskie, Brandon Tate, Mike Wallace, Deon Butler, Mike Thomas, Brian Hartline, Louis Murphy, Austin Collie, and Johnny Knox. Wow, what a list of contenders! Everyone that plays fantasy football should know these names. Some have developed ahead of schedule like Maclin, Nicks and Collie while others have taken the slower path like Crabtree. But like clock-work a couple of these names will make it big in 2011 where they hadn’t before. Here is my guess on who could shine bright this year. These guys will be taken in the middle to late rounds but could end up being big value picks and play more like WR1’s or 2’s. He doubled his yardage totals from 09-10, caught 20 more balls and is now the #1 receiver with Mike Sims-Walker moving on to Minnesota. Marcedes Lewis may end the season with more catches, but Thomas is poised to break-out in 2011 with a big year. Started all 16 games last year under a new system with Martz and Cutler. It seemed like every time Cutler needed a big catch Knox was the man he looked for. Came close to eclipsing the 1000 yard mark, look for him to pass that by easy in 2011. This is based on Britt being able to play, with all of his off the field incidents, don’t be surprised if Roger Goodell slaps him with a few games suspension. But Britt has shown flashes of brilliance and having Hasselbeck should help to get him steadier numbers. I know that the Browns drafted Greg Little this year but what did we just talk about. It takes time. And Robiskie finished 2010 on a very positive note with Colt McCoy chucking the ball. In his last 3 games he tallied 9 REC, 152 YDS, 3 TD. While not crazy good numbers, for a team that didn’t throw downfield much, these were stellar numbers. Hopefully McCoy and Robiskie can continue where they left off. Like I said, Avery missed the entire 2010 season with a knee injury, so 2011 will be his third year! Most fantasy players will have forgotten about this up and comer but if you have an extra pick late and you happened to be the guy that took a defense way earlier than you were supposed to, take a chance on Avery. Especially with Josh McDaniels in town, the Rams are going to throw a ton!